Members of CCI-Hyderabad organised a luncheon meet on the 18th November to commemorate the 130th birth anniversary of Cardijn. The group reviewed current events including the death of Dr. Savita Halappanavar in Ireland and the consequent outrage over the Irish law on abortion. 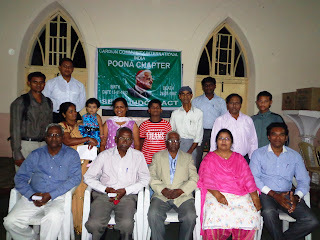 A Christmas reunion of all ex YCS & YCW members was planned for the third week of December. James Syslvester, Irudayanath Prakasham & Manasa Janaki shared with the group their experiences during the Manila Conference. To activate the prayer campaign seeking the divine intervention for canonization of Cardijn, CCI-Hyderabad is printing a pocket sized prayer card which will be distributed among all the past and present members of Cardijn movements. 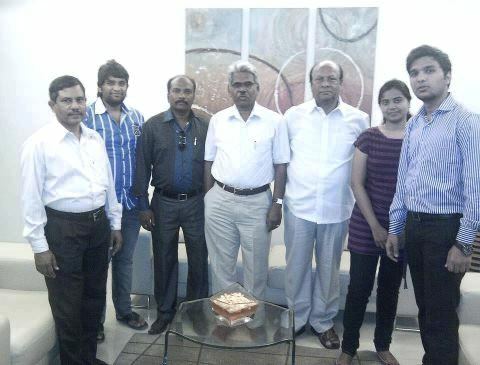 CCI-Hyderabad is all set to welcome the National CCI team members for their National Team Meeting in Hyderabad on January 2013. 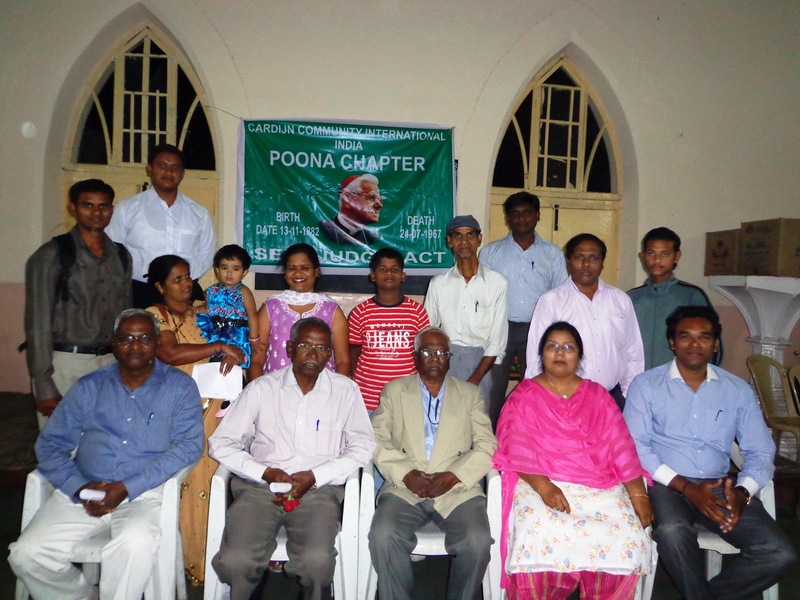 Members of CCI-Chennai met over dinner on the 14th November to commemorate the 130th birth anniversary of Cardijn. The members also remembered Fr. R. V. Mathias, YCW National Chaplain and IYCW International Chaplain whose first death anniversary falls on the 17th of this month. Following informal sharing of recent developments at the national and international level and also the Manila conference, the members decided to convene a study day in January 2013 to devise concrete ways and means to pass on their experiences to the future generation. The prayer seeking divine intervention towards the CCI campaign for canonization of Cardijn was distributed with a request to popularise the prayer. 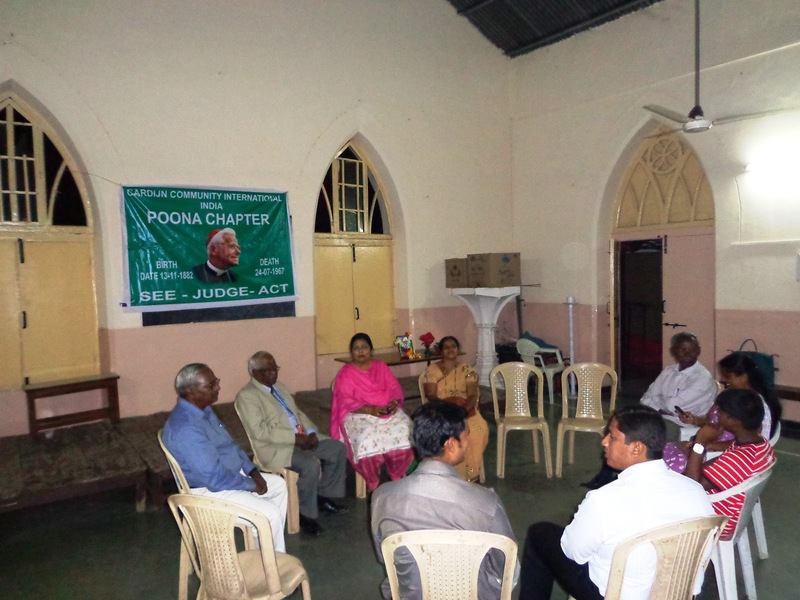 Pune: Members of CCI, former YCWrs and some young people gathered together to reflect on Cardijn's spirituality, vision and methodology. Members shared their views and also their experiences as lay leaders in Cardijn movements. The salient feature of the event was the endorsement of the group to campaign for the canonization of Joseph Cardinal Cardijn. The CCI prayer seeking divine intervention towards this campaign was distributed. A. Joseph, Devadas Martin and Allen David spoke. Lourdu Mary proposed vote of thanks. The event was coordinated by Joseph Arokiasamy (Little Joe) and Hilda Gaikward. The 3 day international conference on 'Vatican 2+50: A Cardijn Perspective' was attended by around 50 delegates from Australia, Indonesia, India, Malaysia, Pakistan, Philippines, Singapore and Sri Lanka. Fr. Bonnie Mendes, former YCW Chaplain from Pakistan and currently Member, Pontifical Council for Justice and Peace, Fr. Prof. X. D. Selvaraj, a leading social activist and Atty Santiago, President of the Laity Council in Manila were the key speakers. A book containing the 3 speeches of Cardijn at the Council titled 'Conscious and Responsible Action for Change' published by Cardijn Media was released at the beginning of the conference. The conference unanimously resolved to promote the cause of canonization of Cardijn. A prayer seeking divine intervention was also formulated. A working group will start initiating various steps. Following a series of events, activities and campaigns, the final conference in 2015 will be hosted by the CCI-India.